Hello loveys! 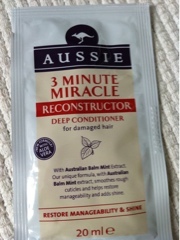 So today I am going to do a review on the Aussie 3 minute miracle conditioner! The lovely Danielle at sunshinesparkle.blogspot.co.uk nominated me to get some samples, so thank you hun! "Unique formula, with Australian Balm Mint extract, smoothes split ends and roughened cuticules. It helps transform dry, damaged hair into manageable and shiny locks in just 3 minutes." As a girl who suffers from dry damaged hair I was keen to see if this would work! So you wash your hair as usual then apply this to your hair and leave for 3 minutes. I loved the smell and took me ages to figure out what the smell was! Then I remembered, Hubba Bubba bubblegum! Its sweet but not overpowering and I could smell it throughout the day. After rinsing, my hair felt so silky and smooth! 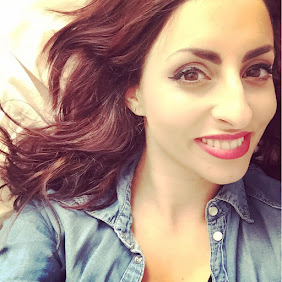 Most of my flyaway hair was tamed and my hair was glossy! I really enjoyed this product! It helped restore my hair and it lasted through the day. Would I repurchase this? Absolutely! Thanks Aussie! Oh babe i just love all aussie products!